In one of the closest qualifying sessions of the day, Peter Licciardi (Team Midway / FA Kart) led Jordon Musser (PSL Karting / Birle ART) by .030 after posting a time of 36.776. 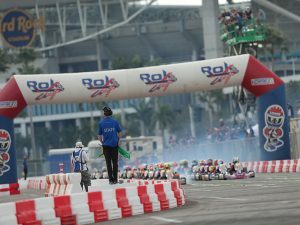 Musser has made his return to ROK Shifter racing after picking up the win at the Las Vegas ROK The Rio event last October and has already made his presence felt. Point leader Luis Schiavo (Goodwood Karting / Kosmic Kart) slotted in third ahead of championship rival and first round winner Victor Jimenez. 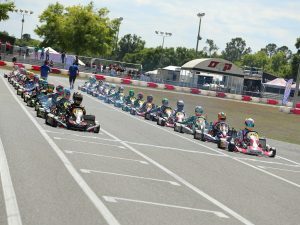 Hernando Sanchez (Goodwood Kartways / Formula K) joined his teammate Schiavo inside the top five as well. Orsolon Racing picked up yet another pole position in Master Qualifyng with star Renato Jader David (Orsolon Racing / Tony Kart). David, continuing his perfect season thus far in the Winter Tour, turned in a 38.280 fast lap which was one and a half tenths quicker than Bruno Fusaro (NF Sports / OTK) in second. 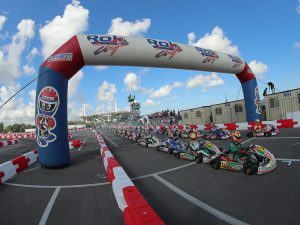 Adrian Donkers (VSR / Tony Kart), Camilo Rivera (NF Sports / OTK), and Sylvain Coulombe (Premiere Karting / FA) did enough to claim the final spots inside fast five. Series frontrunner, Chloe Chambers (MDR / Kosmic), has picked up the pole and a crucial five bonus points in 100cc Junior with a time of 39.200. With the bonus, the New Yorker now unofficially has taken the lead over Santiago Biagi (AM Engines / Exprit) as they head into heat racing on Saturday. Connor Zilisch has returned to FWT action after a rib injury sidelined the young North Carolina driver for the past couple months. Zilisch slotted in behind Chambers and ahead of Adam Maxwell (Top Kart USA) for second position. 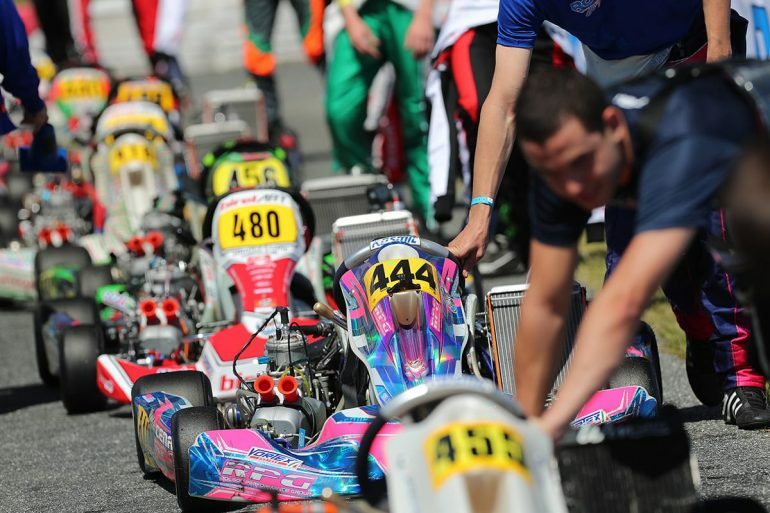 Kyffin Simpson (Speed Concepts / Tony Kart) qualified in the fourth spot ahead of Biagi. As with its Senior counterpart, L206 Junior also exploded with many new entrants, including pole sitter Camden Gruber (Espionage / MGM). Gruber led Daniel Ali (REM / Kosmic) by the the slimmest of margins, a mere .013-seconds. With the second place qualifying effort, Ali sits ahead of two of his Canadian teammates, Nicholas Gilkes (REM / Kosmic) and Adam Ali (REM / Kosmic). Gianluca Savaglio (360 Motorsport) grabbed the fifth spot by .001 over point leader Nicky Palladino (360 Motorsport / Intrepid) in sixth.